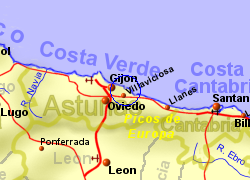 Villaviciosa sits on an estuary (the Ria de Villaviciosa) on the Costa Verde coastline of Asturias, northern Spain. The stunning sandy beach of Rodiles is approximately 10Km away. This historic town is in an area of apple orchards with a long tradition for producing cider and there is a cider museum and factory which can be visited. 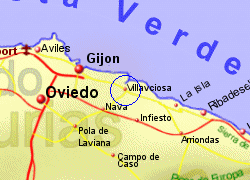 Villaviciosa has a good selection of shops, banks, bars, and restaurants providing local dishes. 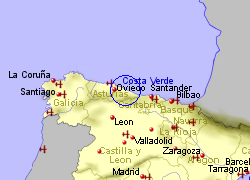 Map of the Villaviciosa area.